I am very concerned with one of the 2-foots. 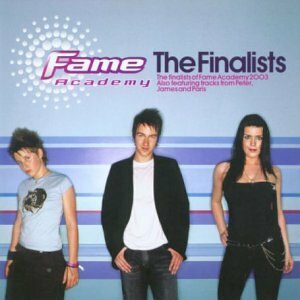 It's the doe I'm worried about, as she seems to have developed an unhealthy obsession with a thing called "Fame Academy". I've told you before about the strange behaviour that the 2-foots have, where they watch the pictures on the box in the corner that lights up, well it's got totally out of control. My 2-foot doe seems to spend every waking hour watching this fame academy thing that is on the light up box, and there is no stopping her. OK, from time to time she will give us a cuddle, or bring us a treat, but instead of devoting herself completely to us, she cannot tear herself away from the light up box. If anyone knows of any medication to help my 2-foot combat this brain stasis, I will try to get hold of it. Please help if you can. Fame Academy!!! We haven't heard of our 2foot mention that. This boxie thingie that lights up, we have one as well. Strange thing. On Saturday when Tigger was having his mad half-hour he stopped to catch his breath and what he saw was rather frightening. From what he told us, he sat on a plastic box that had a picture of a boat on it; I think he said it read Ghost Ship, (what's a ghost??). Anyhow, as he wasn't too chuffed of what he saw, he started to play up so the 2foot HAD to stop looking and pay attention to Tigger. Perhaps this may help. Blessings - Thumper-Binx and gang. Ahh now, we agree with the others, it's best to have a mad half hour and they will stop watching the box thingy - mum never gets to watch tv while I am about 'cos I always attract her attention :-) Could you try and get it across to your male t 2foot that you want mum to stop watching the academy thing? Ask him to get her a nice big basket treat and she will stop watching and maybe you can share it with her :-) How's Flopsy by the way - I hear that she is rather tasty in the bunny department?